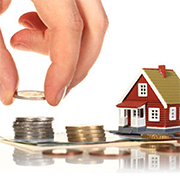 100% deduction for profits to an undertaking in housing project for flats upto 30 sq. metres in four metro cities and 60 sq. metres in other cities approved during June 2016 to March 2019 and completed in three years. MAT to apply. Deduction for additional interest of Rs. 50,000 p.a. for loans up to Rs. 35 lakh sanctioned in 2016-17 for first time home buyers, where house cost does not exceed Rs. 50 lakh.